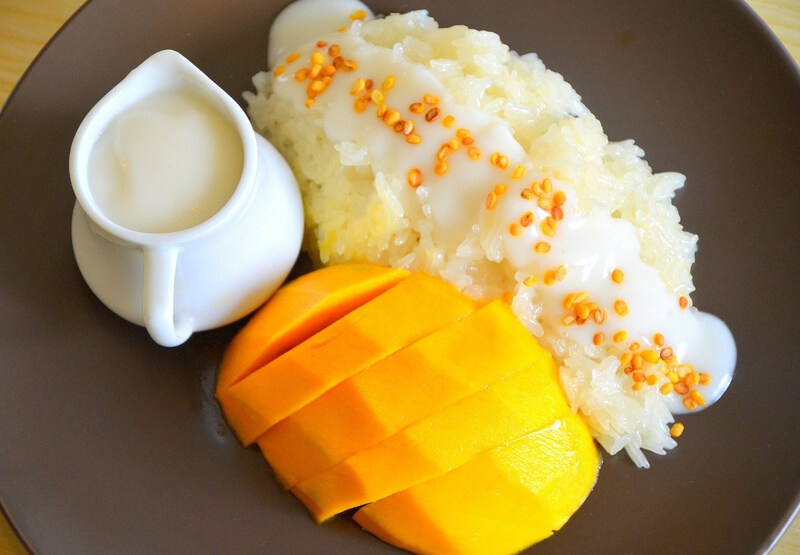 Sweet sticky rice with coconut milk and fresh mango topped with sesame seeds. Softball size vanilla ice cream deep fried crispy topped with chocolate, whipped cream and garnished with cherry. 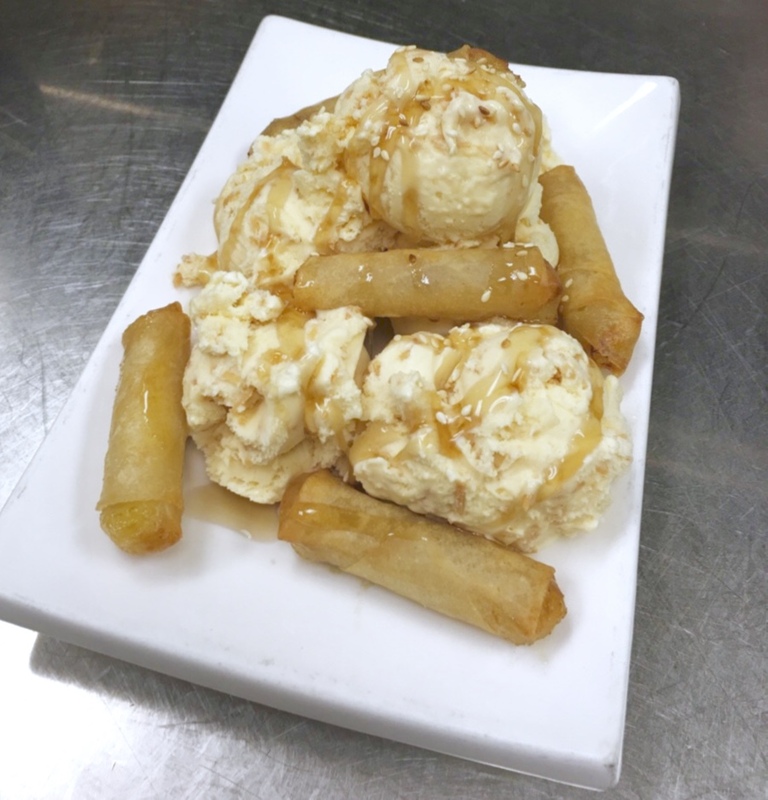 Banana wrapped in wonton sheet deep fried until golden brown served with vanilla ice cream, maple syrup and sesame seeds. 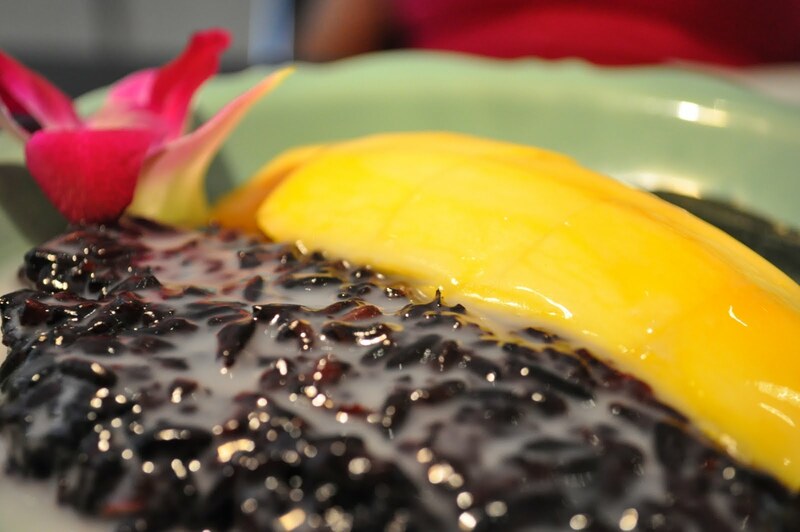 Black organic rice with coconut milk and fresh sweet mango topped with sesame seeds.